Coloring books for… adults, you say? Believe it or not, adult coloring books have become quite the craze! 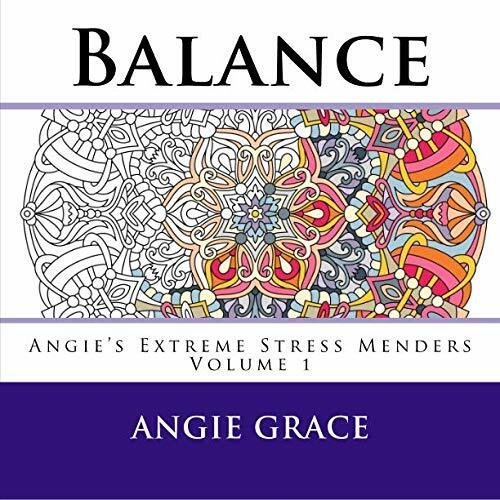 “Colorists” as many fans have taken to calling themselves say that adult coloring books are not only fun and creative activities, but can also help relieve stress, fight anxiety and depression, and practice mindfulness and relaxation. Many adult coloring books also have higher quality paper and more intricate designs than coloring books for children. 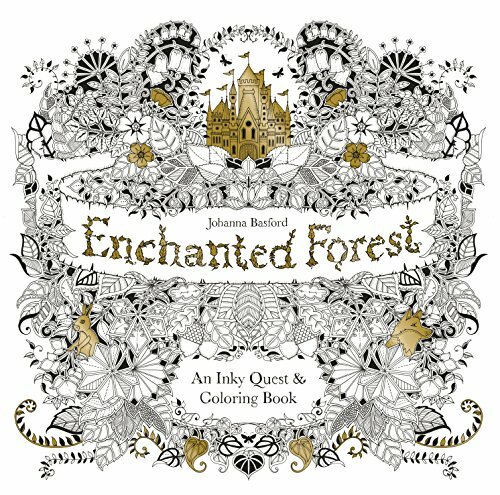 The illustrations of Johanna Basford will take you on a magical journey through a whimsical enchanted forest in this bestselling adult coloring book. In addition to more than 80 exquisite coloring pages, this coloring book includes little games such as mazes and hidden objects to find. Basford’s other books, Secret Garden and Lost Ocean, are also highly recommended. 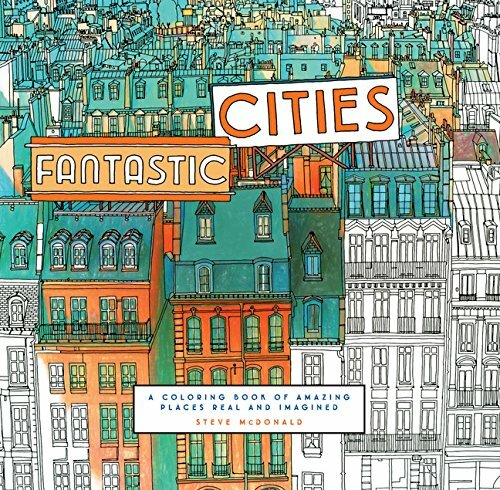 This beautiful adult coloring book by illustrator Steve Macdonald features more than 50 stunning aerial views of different real world cities like New York, San Francisco, Paris, Tokyo, and Rio de Janiero, plus stunning architectural mandalas. If you’d rather focus on a single favorite city, you might prefer adult coloring books such as Color Me Good London or Secret Tokyo. Zentangle is a form of art therapy that uses structured patterns to create beautiful images while providing relief and relaxation for people who suffer from stress, anxiety, attention deficit disorders, and many other conditions. Basically, it’s like meditation through art. 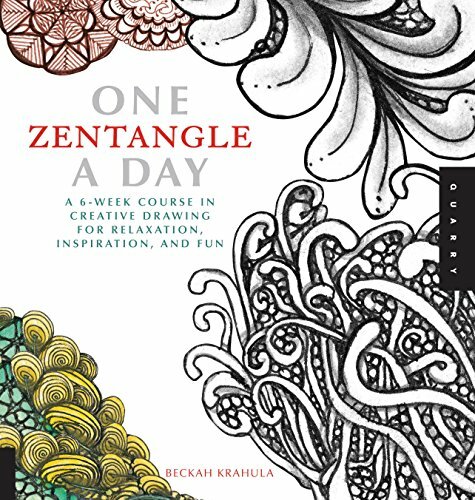 Zentangles are very similar in style to the art of many coloring books for adults, and this helpful introductory course to the Zentangle method will provide you with hours of coloring fun in addition to its therapeutic benefits. 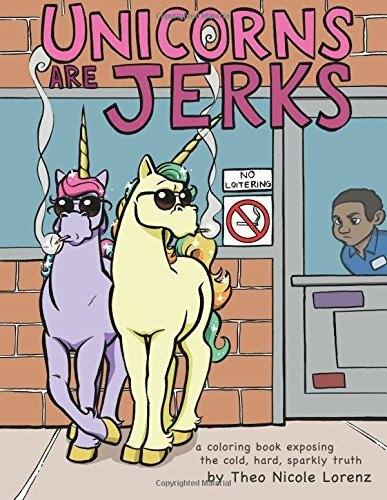 This funny coloring book for adults has illustrations that are more like coloring books for children in complexity than most of the others listed on this page, but an adult sense of humor. It makes a great gag gift or light-hearted pick-me-up. Educational coloring books make great supplementary study materials, especially for visual and kinesthetic learners. 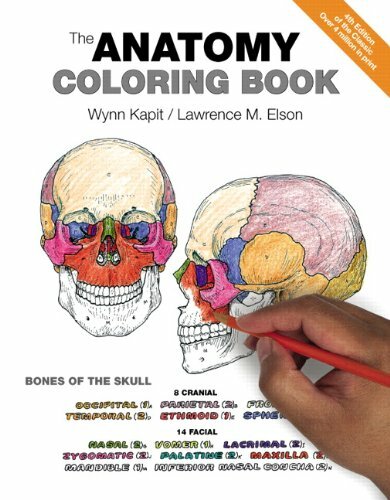 This classic adult coloring book has been helping students of biology and medicine pass their classes for more than 35 years! It includes 162 two page spreads with detailed illustrations of the structures and systems of the human body. Other subjects in this outstanding series of educational coloring books for high school and college students and adult learners include physiology, biology, zoology, botany, and geography. If you love animals, you’ll love the intricate illustrations of everything from dragonflies to elephants in this beautiful coloring book for adults. 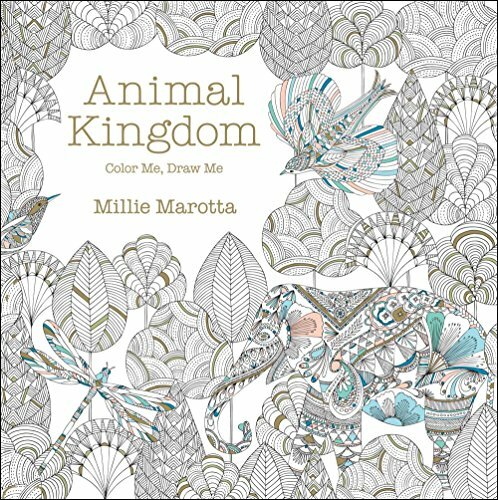 Animal Kingdom features 88 coloring pages by illustrator Millie Marotta, printed on high quality, bright white paper. As the title suggests, this adult coloring book by Peter Deligdisch offers 44 of the most insanely detailed coloring pages you’ll ever see. 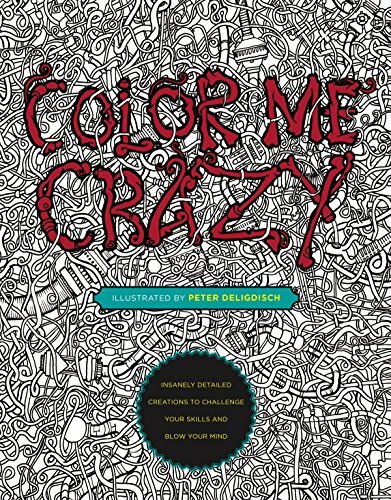 If you want a true challenge for your coloring skills, check it out! George R.R. Martin’s A Song of Ice and Fire series has been inspiring artists since the publication of the first novel in 1996 with the richly imagined and diverse kingdoms of Westeros and Essos and the cast of thousands. This has only increased since the series was turned into the smash hit HBO television series Game of Thrones. 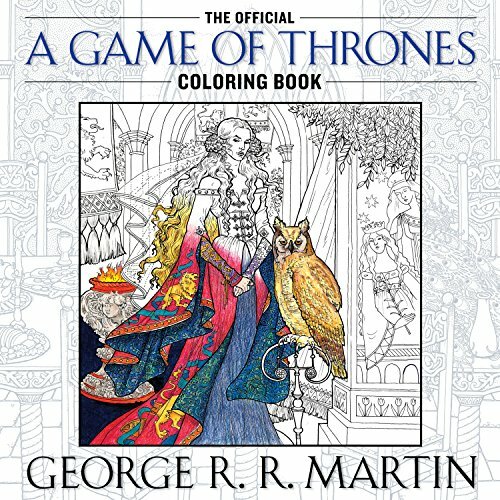 Fans of both television series and novels will be thrilled by the dozens of exquisitely detailed coloring pages in this Game of Thrones coloring book, which includes everything from house banners to portraits of the characters to illustrations of scenes from the novels and show. The 50 gorgeous mandalas in this coloring book for adults are perfect for relieving stress thanks to their intricate detail and repeating patterns. British artist Mel Elliott has built a reputation for fun and quirky adult coloring books. This one allows you to color in and rate the relative attractiveness of more than 60 gorgeous guys, including Brad Pitt, Ryan Gosling, and the members of One Direction. 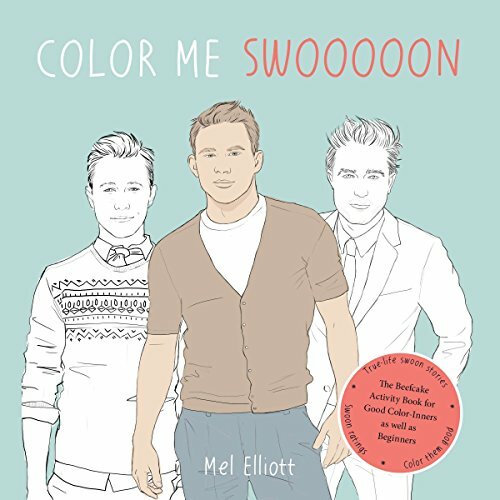 For those with pickier taste in eye candy, be sure to check out Elliott’s coloring books for individual celebrities as well, including Benedict Cumberbatch, Tom Hiddleston, and Taylor Swift. What are your favorite coloring books for adults? Chief Suggester is the founder of SuggestMeSome.com.